We decided to take a look at the last year’s worth of Google search trends to see which label has gained the most traction. 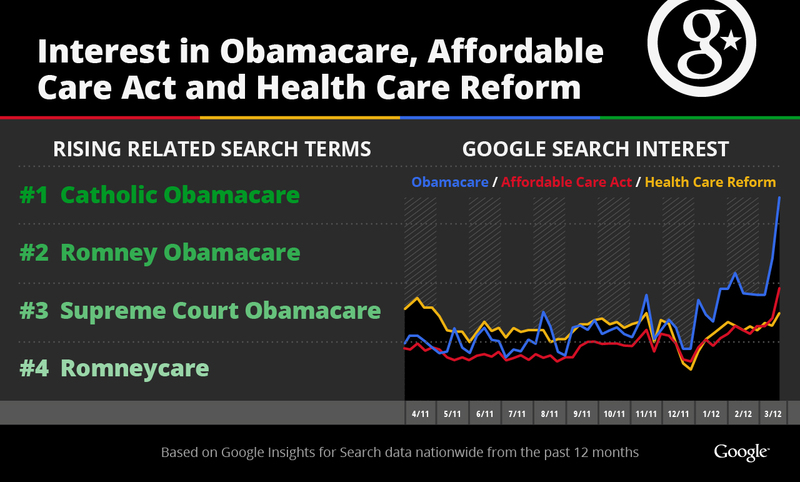 While the phrases “Affordable Care Act” and “healthcare reform” were the most-searched in early 2011, “Obamacare” has become the most common searched term of the three for 2012. 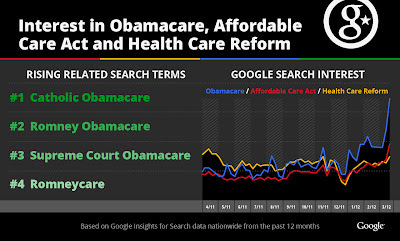 We also looked at the top rising searches associated with "Obamacare."